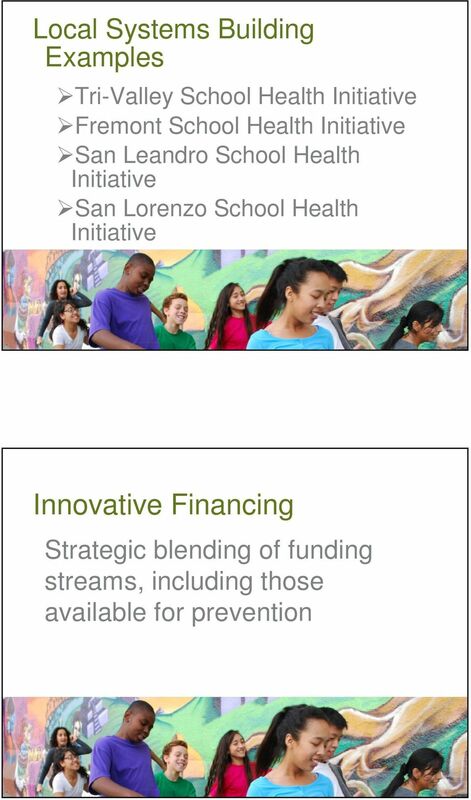 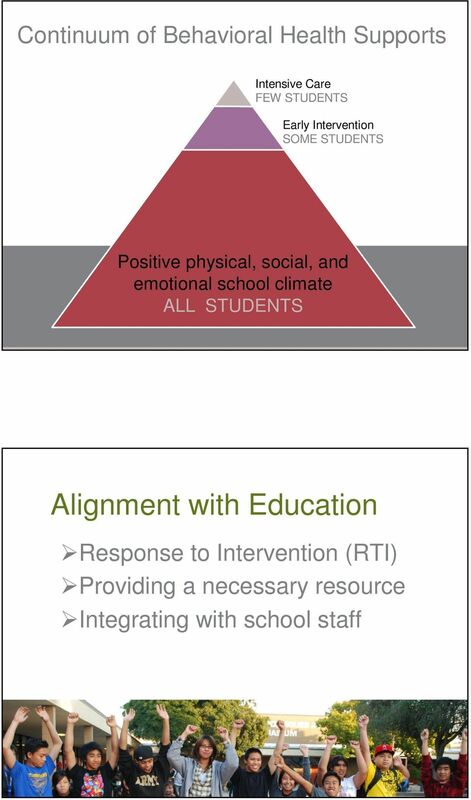 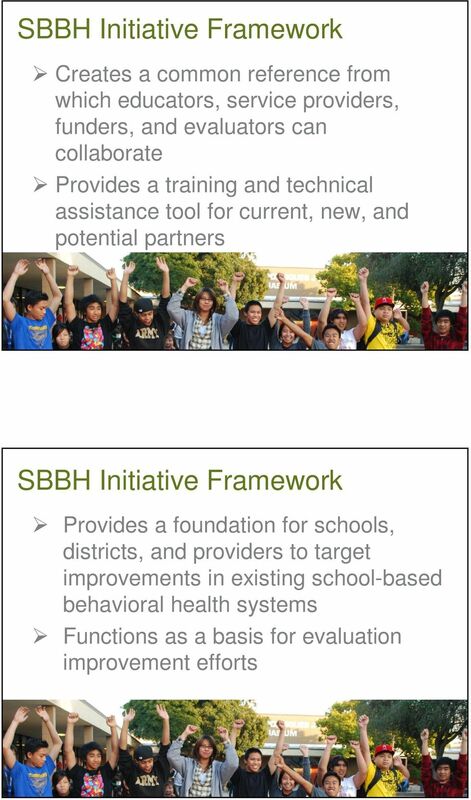 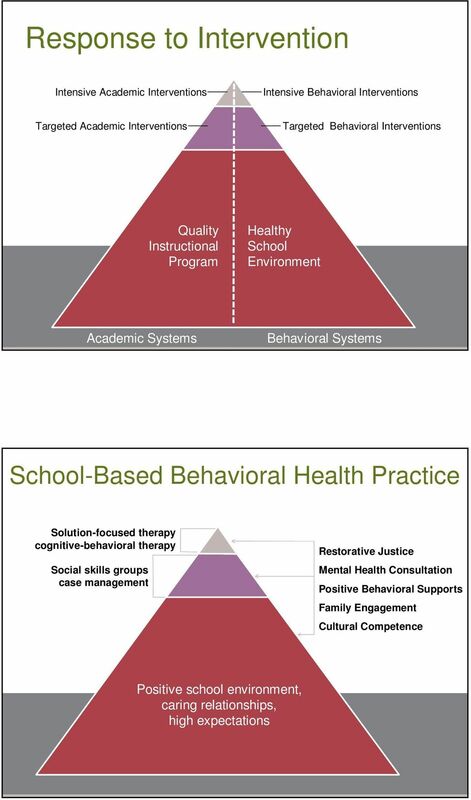 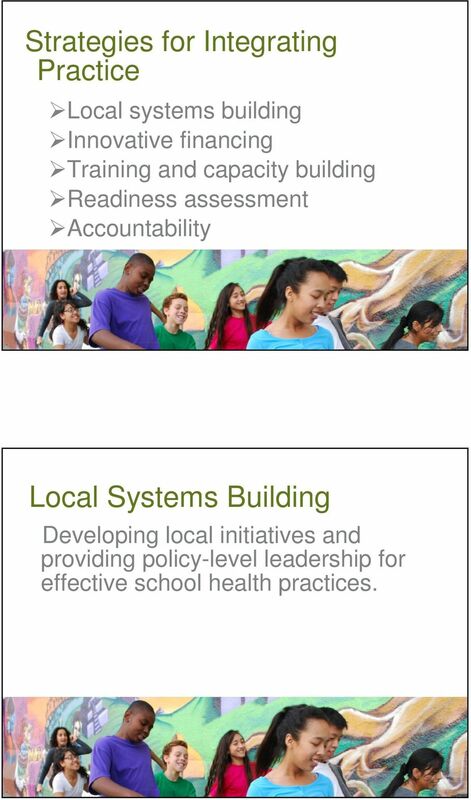 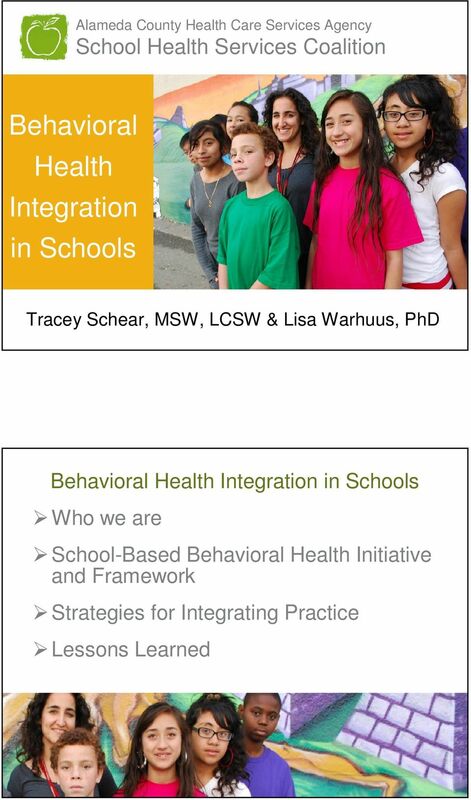 Download "Behavioral Health Integration in Schools"
16 Strategies for Integrating Practice Local systems building Innovative financing Training and capacity building Readiness assessment Accountability Local Systems Building Developing local initiatives and providing policy-level leadership for effective school health practices. 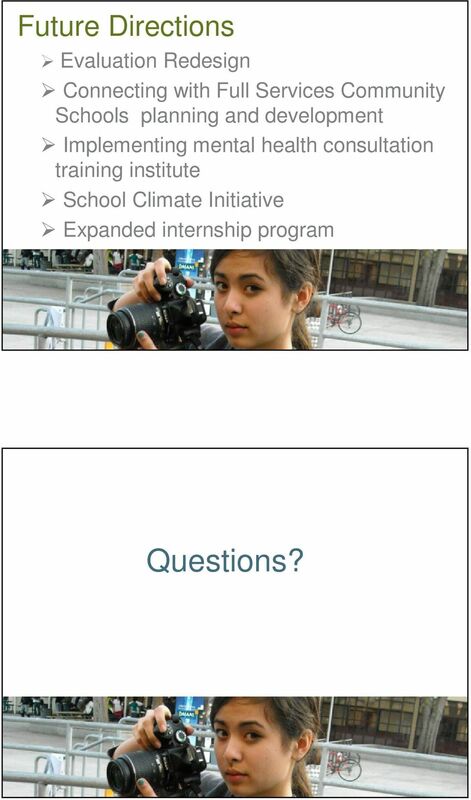 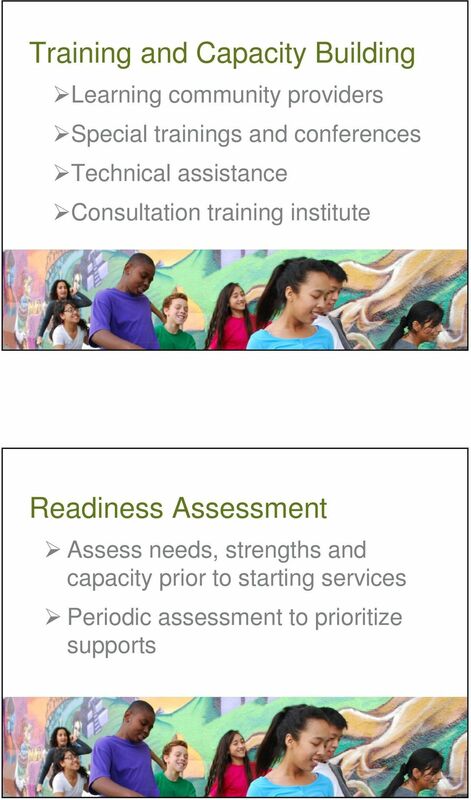 20 Future Directions Evaluation Redesign Connecting with Full Services Community Schools planning and development Implementing mental health consultation training institute School Climate Initiative Expanded internship program Questions? 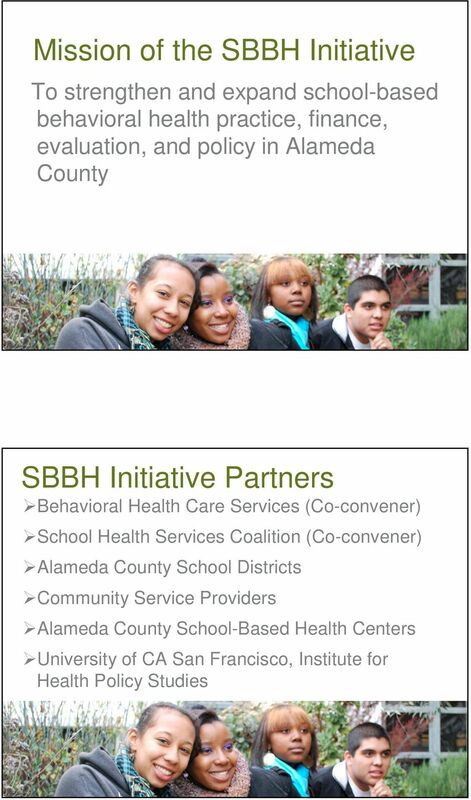 Dear Fellow SF and East Bay MFT and LCSW Trainees and Interns, When I first got started looking for an internship, I was hugely helped by Will Sherwin who is now an MFT in the Bay Area. 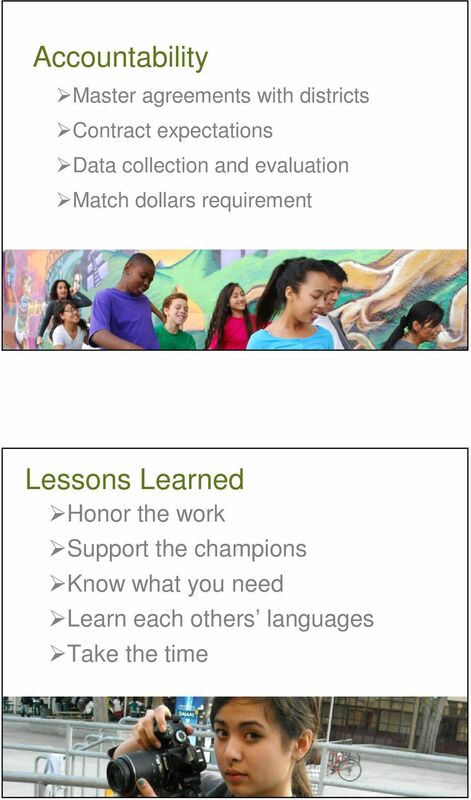 Thank you Will. 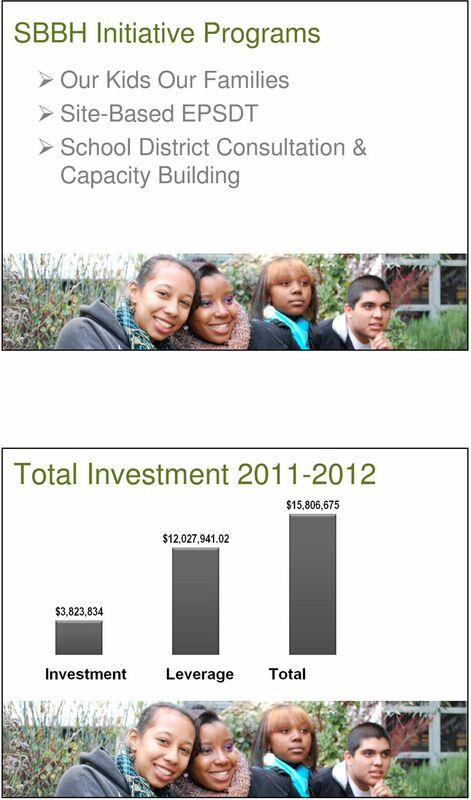 The Coalition is proud to recognize the amazing work being done at Hartford Community Schools. 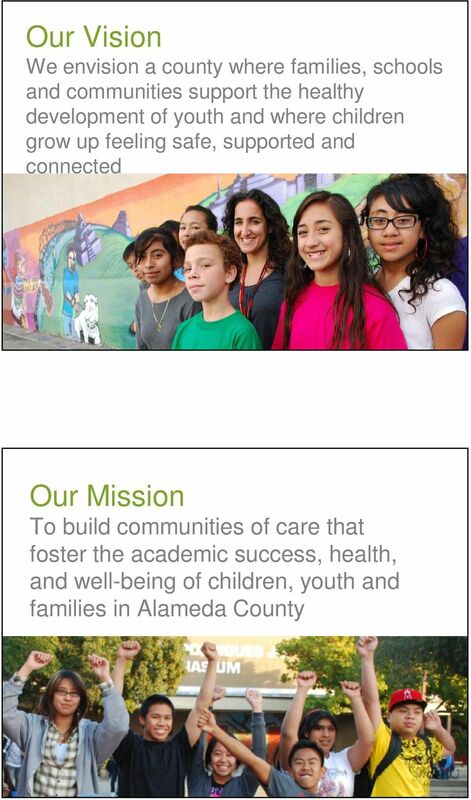 It is one of two communities in the country winning national recognition from our organization this year. 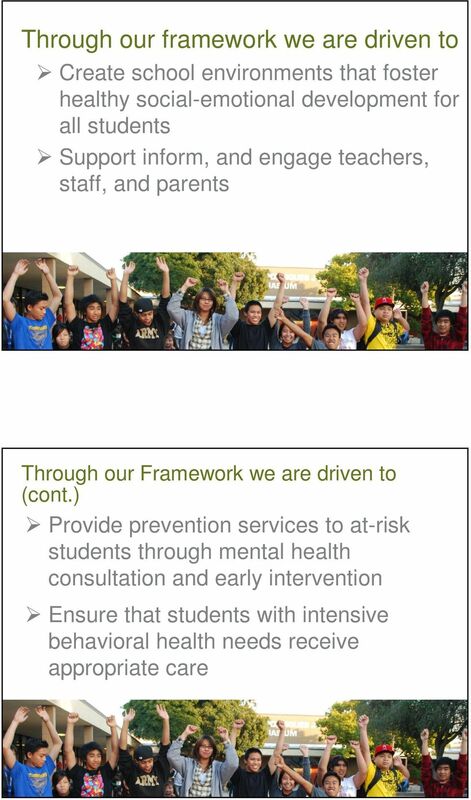 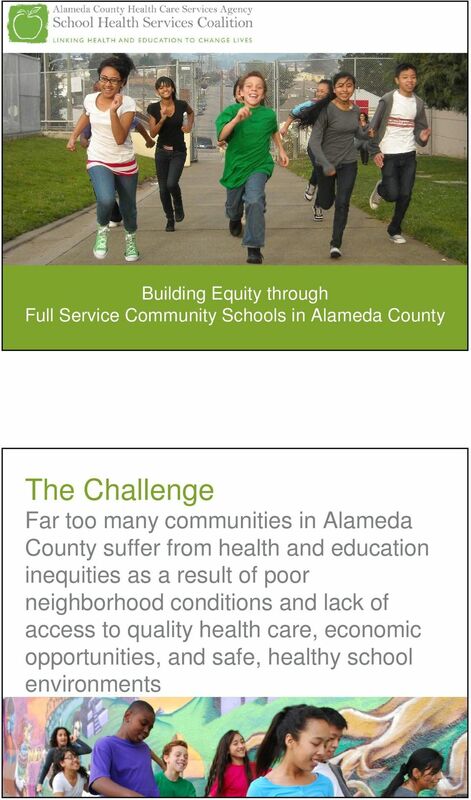 AN EFFECTIVE STRATEGY TO REDUCE DISPROPORTIONATE DISCIPLINE, SUSPENSIONS AND IMPROVE ACADEMIC OUTCOMES. 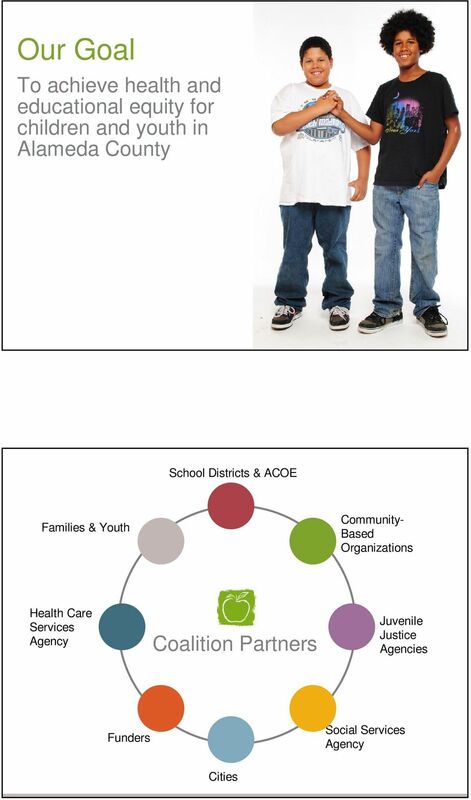 County of San Diego Health and Human Services Agency. 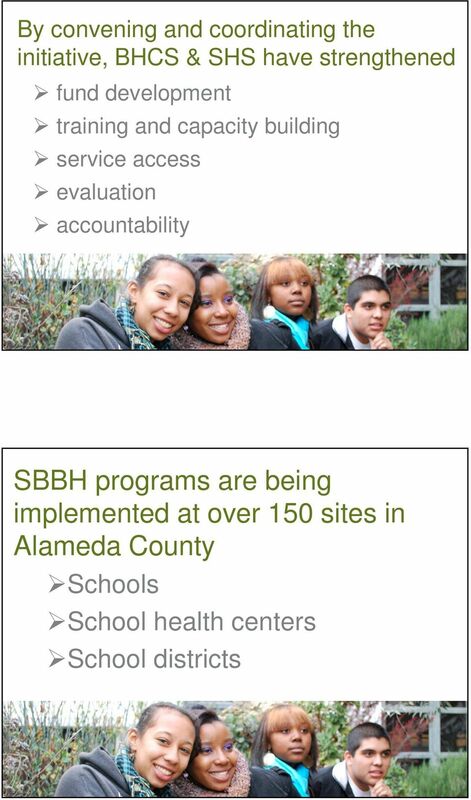 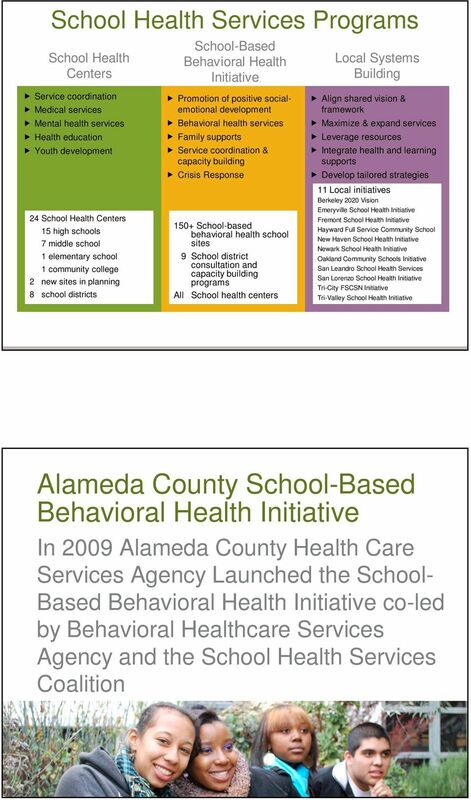 Final Behavioral Health Services Three Year Strategic Plan 2005-2008. 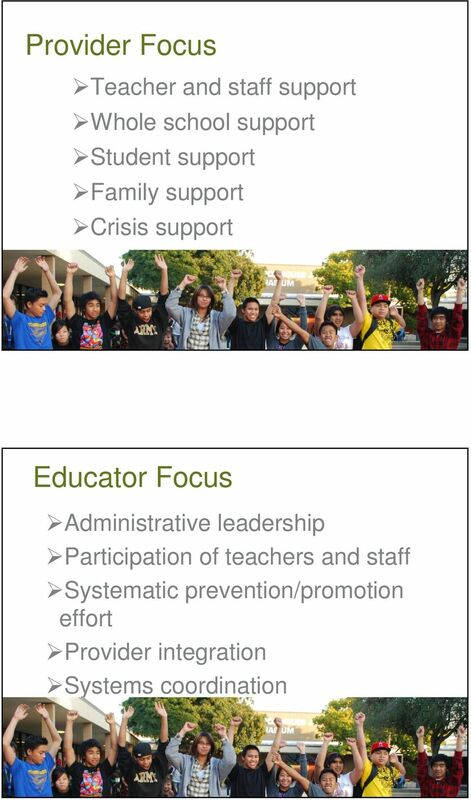 2015 Award for Excellence Winner Social Justice Humanitas Academy Los Angeles, CA Social Justice Humanitas Academy in Los Angeles ensures all of its students have Individualized Pupil Education Plans (IPEP).